The opening programme has been curated by David Pay, Artistic Director of Vancouver's classical, new, and genre-bending concert series Music on Main, showcasing its reputation for storytelling in a post-classical age. The show will include live appearances by a range of Canadian artists as well as a video speech from the outstanding soprano and performing conductor Barbara Hannigan. Named after the patron saint of music, Cecilia String Quartet (CSQ) celebrates its 10th anniversary this season, back in Toronto where it all started. Enthusiastic educators and mentors to the next generation of chamber musicians, the CSQ and its members have held teaching posts at festivals, conservatories and universities across Canada and the United States and are currently ‘Ensemble-in-Residence’ at the University of Toronto. 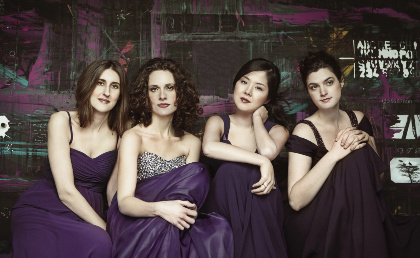 The quartet has performed at international concert halls including the Concertgebouw in Amsterdam, Konzerthaus in Berlin and London’s Wigmore Hall. Its live concert recordings have been broadcast on public radio networks in over 12 countries, among them Australia, Germany, the UK, the US and Canada. The CSQ has won various prizes: Osaka (2008) and Bordeaux (2010) as well as winning first prize at the 2010 Banff International String Quartet Competition, where it also won best performance for a commissioned work. Here, the Quartet will perform a work by Jeff Ryan. 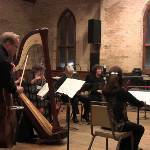 Continuum Contemporary Music is one of Canada’s most important chamber music ensembles. Founded in 1985 by a group of musicians and composers dedicated to performing new music, it has commissioned over 150 works from emerging and established composers from Canada and around the world. The ensemble was awarded the 1994 Chalmers Award and was last year shortlisted for the Toronto Arts Foundation’s Roy Thomson Hall Award of Recognition. To mark Continuum’s 30th anniversary, it recently performed world premieres of works by young composers Anna Höstman and Jason Doell as well as Turkish wunderkind Mithatcan Öcal. In this Classical:NEXT event, Continuum presents the work ‘Quelles Filles’ by Montreal composer and musician Lori Freedman, who will also feature as guest clarinettist. Award-winning Canadian pianist Megumi Masaki has had a multi-faceted international career. She is an acclaimed soloist, chamber musician, pedagogue and champion of contemporary music. In 2005, she founded the International Virtuosi Concert Series in Frankfurt and has also co-founded the annual Waterford Summer Music Festival in Utah where she acts as artistic director, conductor, pianist and coach. In 2006, Masaki made her film debut with a musical performance in the CBC documentary “Appasionata: Eckhardt-Gramatté”. 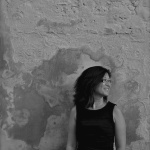 Recently she became the artistic director of the Eckhardt-Gramatté Competition. She was the recipient of Germany’s Willi-Daume Prize for her “Music and the Olympic Games” project. Masaki is an Associate Professor at Brandon University’s School of Music in Manitoba. In this performance, accompanied by video and electroacoustics, Masaki will perform new music from Montreal-based composer Nicole Lizée, who is renowned for her eclectic influences, from early MTV videos, turntables and rave culture to Hitchcock, Kubrick and 1960s modernism and psychedelia. Tanya Tagaq’s unique style of vocal expression is rooted partly in her heritage and growing up in Canada’s remote Northwest Territories. The self-described “Inuk punk” fuses her own blend of solo Inuit throat-singing with as much influence from electronica, industrial and metal as her traditional culture. This has resulted in a reputation for delivering fearsome and elemental performances that are both visceral and physical. Tagaq has collaborated with opera singers, avant-garde violinists and DJs. She featured on Björk’s highly acclaimed Medúlla album and more recently has been commissioned by Kronos Quartet as part of its Fifty Years in the Future project. She has also won Canada’s top musical honour, the Polaris Prize 2014, for her album Animism. Blending genres and celebrating today’s open approach to music making, she will improvise on stage alongside producer and violinist Jesse Zubot and jazz percussionist Jean Martin. The Classical:NEXt Opening 2015 is presented by Canada Council for the Arts, The Canadian Music Centre and Music on Main.